Just an amazing place. The hostel itself is already very good: great beds, decently stocked kitchen, comfy common area and clean bathrooms. But the effort and passion Alex and Stefan put into every guest is just incredible. They talk you through every hike and aren't afraid to tell you when you shouldn't to a hike, but always give an alternative. And if you ask nicely they help you get the most out of your trip through the Balkans. Definitely one of the best places I ever stayed! This place feels like home. Alex, the owner, is amazing! He (as well as his brother Stefan) will set you up with everything to make the most out of your stay, even arranging group hikes for more difficult trails. One of the best hosts I ever met. The place is clean, welcoming and equipped with everything you need. Also it’s a really social place. I just recommend to stay for at least 3 days. Durmitor is amazing and you might want to have enough time to fully enjoy it! I’ll be back for sure!! This hostel is one of the best I've ever been to!! Amazingly clean, friendly and and incredibly competent and funny staff, Alex, his brother and the other people really make an effort to maximise the quality of your stay in every direction!! Thanks so much guys!! 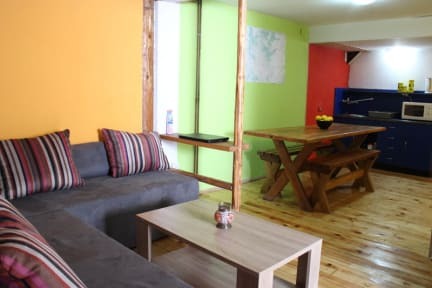 Absolutely fantastic atmosphere, you get to know fellow travellers very easily in the common area, equipped with a good kitchen and a cozy couch. The two guys working there, Alex and Stefan go out of their way to make you feel like at home and gladly tell you everything you need to know to have a great time. Even though it was constantly raining during my stay, Zabljak will be one of the favorite places of my trip, thanks to these two guys and the other awesome guests. Fully recommended! 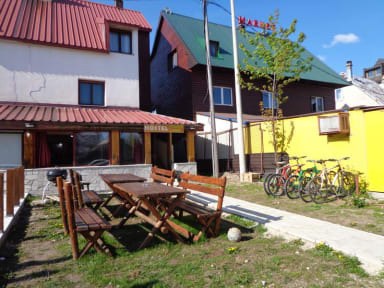 very good hostel. I stayed only one night because there was no space. Alex give me a good recommond for next destinations in montenegro. Ich kann dieses Hostel definitiv weiterempfehlen. Die Lage ist top. Und man bekommt von Alex viele Informationen/ Ratschläge für die Wanderungen. Die Atmosphäre ist sehr ruhig. Tagsüber sind alle unterwegs und abends kann man sich austauschen. Ich komme auf jeden Fall wieder! Nice staff, they help a lot to organize your trip there and also offer a lot of activities. Location is nice and quiet, price totally worth it..